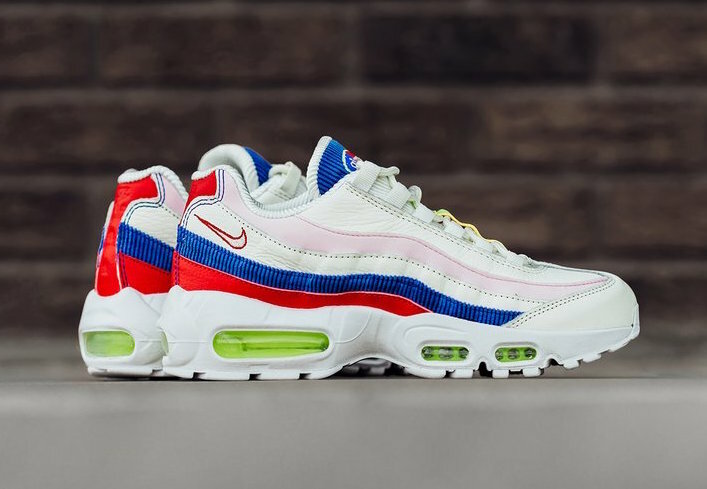 Nike Air Max 95 "Corduroy"
Reminiscent of the Nike Air Max 1/97 “Air Seany” with its corduroy details, this Nike Air Max 95 comes with a Sail tumbled leather upper, Racer Blue corduroy waves and a mix of Vibrant Red and Pink accent strips. 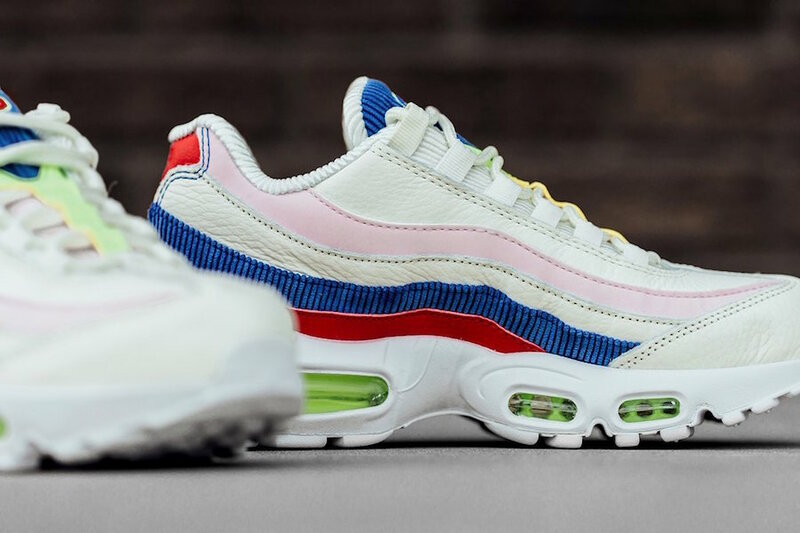 A Neon Green panel is seen on the tongue that matches its Neon Green Air Max bubbles. 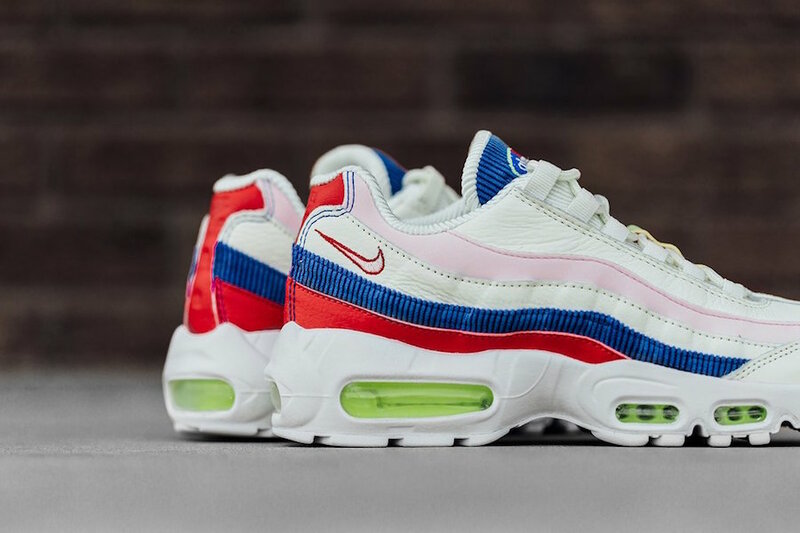 This Nike Air Max 95 is now available in women’s sizing at select retailers like Feature with the retail price tag of $170 USD.